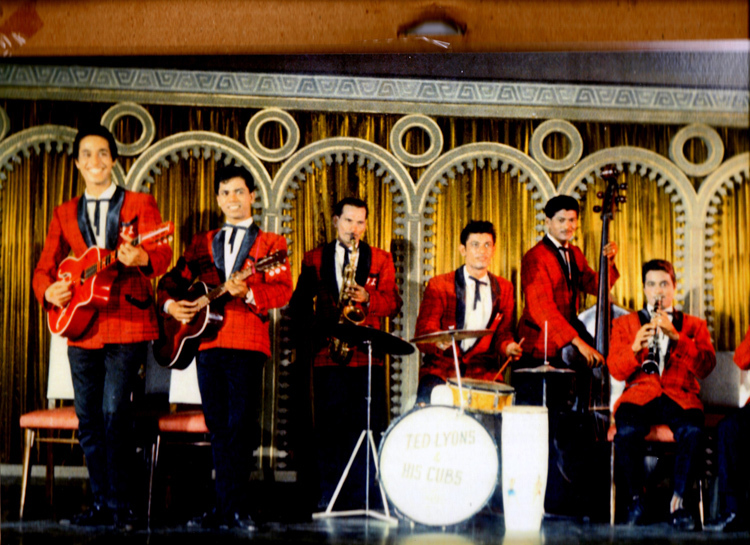 It’s time for more Shammi, in brilliant Eastman Color! 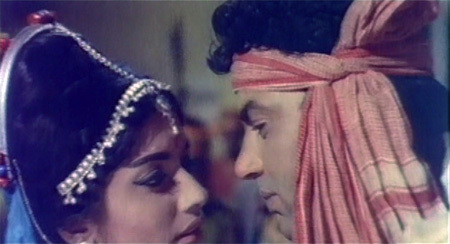 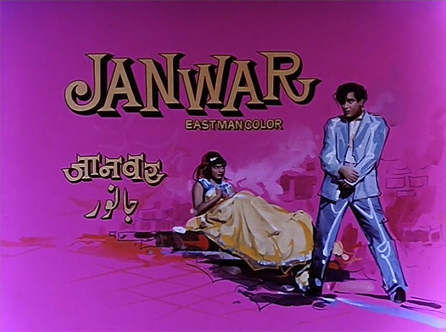 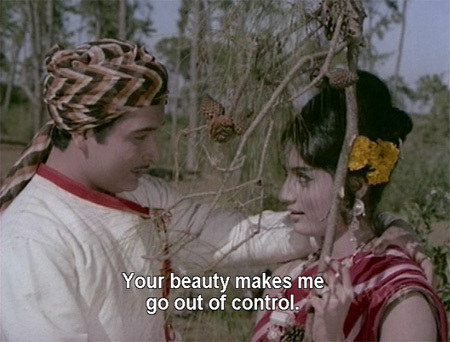 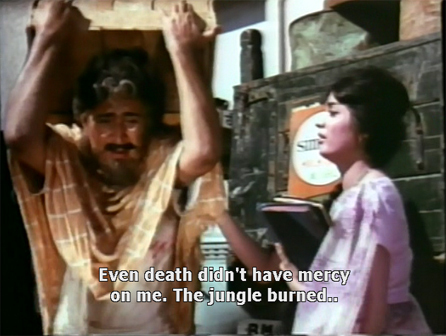 Janwar is one of my favorite Shammi films (okay, I know I always say that), because it’s chock full of crazy outfits and disguises, great repartee between Shammi and his sidekick Rajendranath, and the presence of Prithviraj Kapoor and Rehman as well. 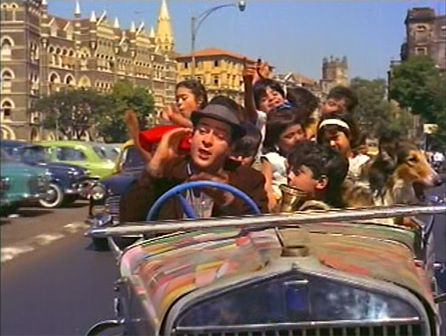 It also has a great fast-paced story full of fun, and the songs by Shankar and Jaikishan are brilliant.